Justice Allen Loughry announced the resignation of his seat on the West Virginia Supreme Court of Appeals this weekend, after a jury found him guilty of 11 corruption counts on Oct. 12. Loughry is the third justice to leave the high court in disgrace since July. “I hereby resign my position as a Justice on the Supreme Court of Appeals of West Virginia at the close of business on November 12, 2018,” Loughry’s terse letter to GOP Gov. 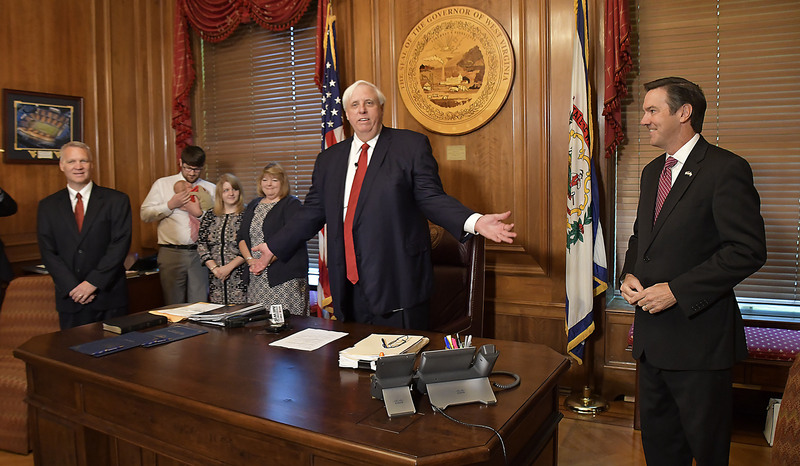 Jim Justice reads. The governor will appoint a new justice to Loughry’s seat, who will serve until May 2020, according to Charleston Gazette-Mail. A grand jury indicted Loughry for mail fraud, wire fraud, lying to investigators and witness tampering on June 18. According to the wide-ranging allegations, the justice used state resources for personal purposes, profiteered off the public purse, removed antique furniture from state offices to his home, lied to federal investigators, and attempted to influence the testimony of other witnesses. After Loughry’s indictment, Justice Menis Ketchum resigned on July 27. He has since pleaded guilty in federal court to wire fraud. Like Loughry, Ketchum was accused of using state vehicles for personal reasons, and improperly collecting state monies as reimbursement for unofficial travel. Justice Robin Jean Davis followed suit on Aug. 11 and left the bench under threat of impeachment. Davis, Loughry and Ketchum were implicated in a spending scandal at the court, in which the justices used taxpayers dollars to finance lavish renovations to their chambers in the state capital. The governor appointed two successors to Ketchum and Davis in August. His appointees — Evan Jenkins and Tim Armstead — both prevailed in the November elections. The Daily Caller News Foundation reported that Davis’s 2012 reelection effort might have benefited from an illegal straw donation scheme in March 2017. Loughry is the author of the definitive history of West Virginia’s notorious political corruption. His book is called “Don’t Buy Another Vote, I Won’t Pay For A Landslide.” The former justice is now seeking a new trial, arguing the evidence marshaled against him is insufficient for conviction.